ChenOne is an amazing national and now international brand. They opened their first shop in 1997 in Jinnah Super in Islamabad. At the huge success of first store, ChenOne now has branches in more than 50 cities of Pakistan. When first opened, it was first of its kind to offer complete range of foot wear, fashion clothing, furniture, bed linen, kitchen accessories and bathroom accessories. ChenOne is everyone’s favorite lifestyle fashion store. Their products are both unique and high in quality. ChenOne came out with new and exciting mid season sale that starts today and will end on 17th December (from 18th to 17th December). The best part about this sale is that you can get a chance to win a brand new 1300cc car. This sale includes upto 50% off on entire winter stock of garments and home. This attractive mid season sale is also applicable on home products. ChenOne home offers a combo of luxury and fashion in furniture, home accessories, bed linen, bathroom accessories and kitchen accessories that you just cannot resist. The year also offering wedding packages starting from RS 59,000 only. Pareesa’s new winter collection is filling around the oomph for fashionista. They have a wide range of unstitched shirts, two piece suits, three piece suits as well as wide range of verity on pret. 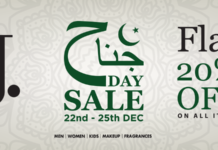 They are also offering 30% off of shoes, 40% off on ladies jeans, 10% to 50% off on their men collection including t-shirts, sweaters, dress shirts, pants, ties etc. Sale on kids items ranges from 20% to 50% including kids rompers, sweaters, jackets for both girls and boys. ChenOne’s toll free number is 0800-24361 and for ordering visit their official website. On their website, they offer free shipping on orders that are about Rs 3000, otherwise Rs 250 are charged as delivery charges.